Hi friends! 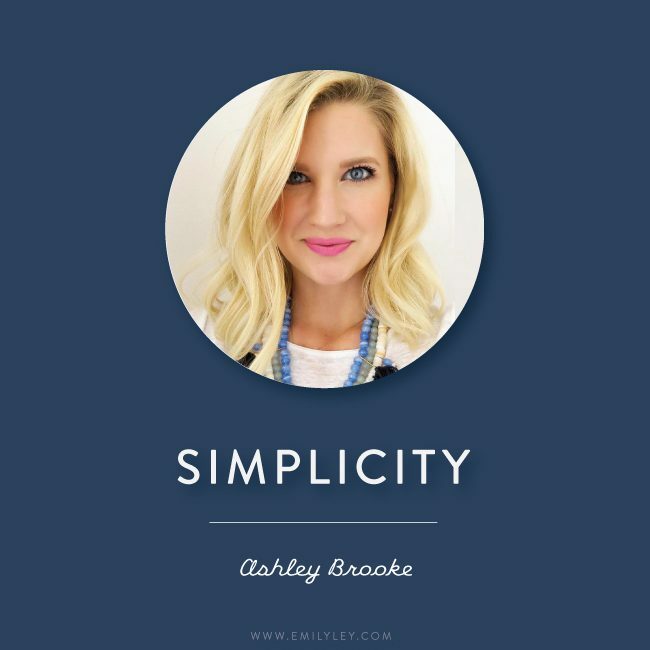 I am Ashley Brooke, Owner and Creative Director of Ashley Brooke Designs, a Sunshine State Lifestyle Brand on a mission to make every day just a bit more fancy! We design desk accessories and gifts for the girl who likes a good cup of coffee with a side of sass. When I am not in the midst of deadlines, press checks, blog posts, and photoshoots, you can find me traveling with my sweet husband and fluffy sidekick! Life over here at ABD is full to the brim with adventure, just the way I like it. I try my best to set myself up for success every night before leaving my office: I make sure to clear off my desk, write down the next day’s to-do lists, schedule blog posts, and lay out my journal and Bible. Before bed, I lay out my gym clothes, shoes, hair tie, water bottle, morning snack, and prep the coffee pot! That way I know the first few hours of my day are ready and I can roll out of bed, head to the gym, and when I come home I’ll have my coffee and start tackling the day. It’s funny how a “win” like that first thing in the morning can really set the tone for your entire work day. But, to be honest, I can’t take credit for this genius idea; my parents made my sister and I do this when we were little, packing our little lunches, cleaning up our rooms, getting our backpacks ready and sitting by the door, deciding what we were going to have for breakfast (Cereal? Get out that bowl and spoon! ), and picking out our clothes. After dinner each night, my mom would set the timer on the oven for 15 minutes and say, “Alright girls, time to set up for success!” It’s become a habit that I can’t seem to shake! What is one tradition or routine that’s really important to you? And why? Dinner! I know that sounds funny, but dinner is my favorite and the most important to me. Every night when my husband comes home from work, we eat dinner together and talk about our day–the good, bad, and the ugly. It’s our time to really get the latest “news” in each other’s worlds. It is by far my favorite part of the day. We don’t make that big of a fuss about it. Sometimes the table is set all fancy and sometimes we sit on the couch facing each other with plates in our laps. It’s the best. We both had nightly family dinners growing up, so that’s a tradition I hope we never break. Nothing fills my love tank like dinner. 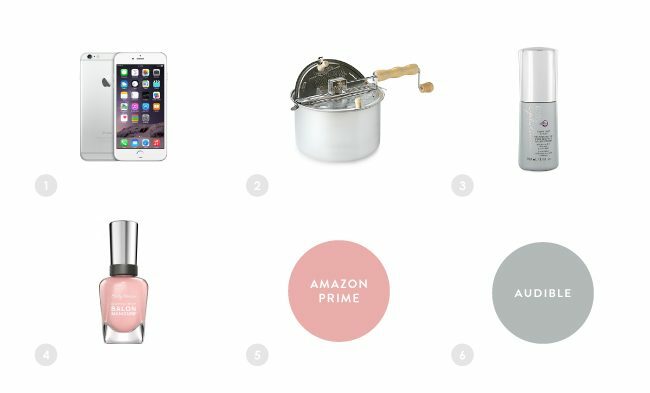 Your PICK SIX: What six things can you absolutely not live without? 1. My iPhone: It holds my Bible app, my notes, my calendars, work, and communication to my favorite people. My phone is the keeper of all the things. I should really stop dropping it so much. 2. Whirley Popcorn Maker: This thing is the best. I make popcorn just about every single day, and the whirley pop makes it so easy! Just add a little coconut oil, kernels, and crushed sea salt and I am in snack heaven! 3. Kenra Blow Dry Spray: This, I realize, sounds ridiculous, but honestly it WORKS!! I pinky promise my hair dries so. much. faster. And really, if there is anything in the world that I want to cut in half, it would be my blow dry time. 4. Gel Manicures: Again with the silly unnecessary necessities, but nothing makes me feel more put together than nicely manicured fingers! I have recently started going to a wonderful salon where I have my very own nail tech who knows me and gets that I am always on the go. I can be in and out under an hour with a fresh manicure and still be able to get my keys out of my handbag and move on to the next thing. Whoever invented gel manicures is a genius I tell ya! 5. Amazon Prime: What in the world did we do before Amazon Prime? Need socks? An umbrella? Batteries? Dog food? Don’t worry, you can have that by Wednesday at noon thank-you-very-much. 6. Audible: I have had a subscription to audible for years now, and I am never ever giving it up. I don’t have tons of time to read, and when I do finally sit down to read, I end up falling asleep– the struggle is real. Years ago, to combat the fear of never picking up a book again, I downloaded Audible and haven’t looked back. I listen to about one book every 1-2 weeks. It’s awesome! Everything from Jesus books, to silly beach reads, to business books, I listen to them when I am editing photos, doing the dishes, diving to and from our warehouse, and out for a run! If you haven’t tried Audible I would highly recommend it.